Fishing on Filby Broad at Filby01493 846346work FishingFilby Broad is a super place for a spot of fishing. 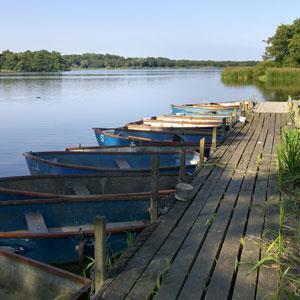 A small two-man rowing boat, suitable for fishing only, can be hired from Filby Bridge restaurant. A small car park on the outskirts of the village marks the start of a wooden boardwalk, an ideal place for fishing from terra-firma. For wheelchair users a fishing platform is also available. The nearby village of Filby has a pub, restaurant and shops.